This post was written by Bangor High School art teacher Kal Elmore and the photos were taken by Sheila Bohlin. 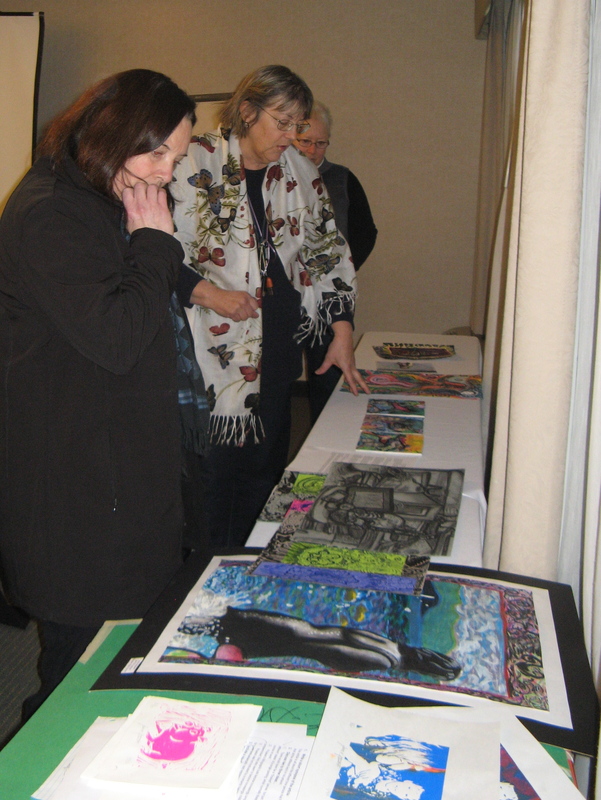 There was a meeting on Saturday, January 15th of the AP Studio Art Network. 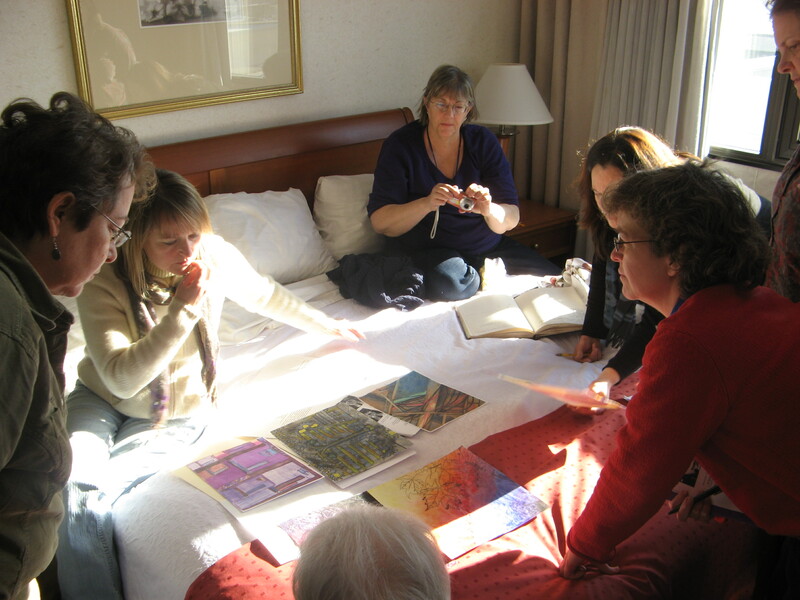 The group meets three times a year to share information, resources, and ideas that are relevant to the teaching of AP Art or other advanced art classes. After introductions, we discussed some of the challenges we face with our current AP groups. A big issue was dealing with deadlines – many kids are trying to pass in work late. We all face kids who are less motivated and would like to find ways to push them to do more. Some of the work we are getting is not nearly as strong as we would like. There are many reasons for this but we all agreed it is becoming more and more of a problem. We discussed grading issues also, and the conversation took many turns as the group shared their experiences with finding ways to encourage higher standards. Some fabulous lesson ideas were shared. We all had different strategies for helping students to find their own voice. Brainstorming lesson ideas was very satisfying and gave everyone something concrete to take away from the day. The afternoon session focused on using the blog that Sheila Bohlin designed for our group. We have talked for a while about designing a site to share resources, information, ideas, etc. This is the start and it has enormous potential for us all! The blog has links to useful sites, links to school sites, and provides an opportunity to upload images for critique. We discussed many aspects related to the use of the blog and are still working things out. We polled the group and decided to schedule our next meeting for March 26. We are not sure where the meeting will be but do put it on your calendar so you can plan to attend! Sheila Bohlin and Kal Elmore share in coordinating this group. If you have questions or would like more information, write to Sheila (bohlins@link75.org) or Kal (kalelmore@gmail.com). 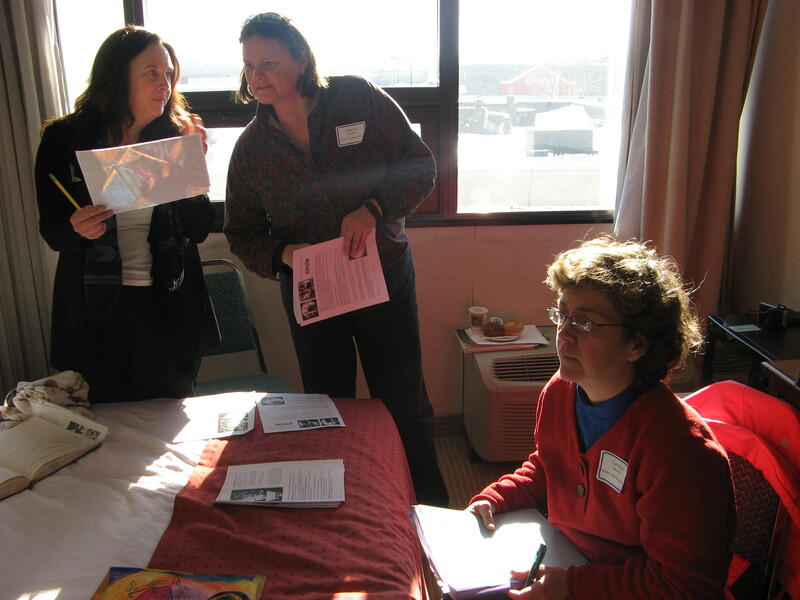 You are currently browsing the me arts ed blog archives for the day Monday, January 24th, 2011.